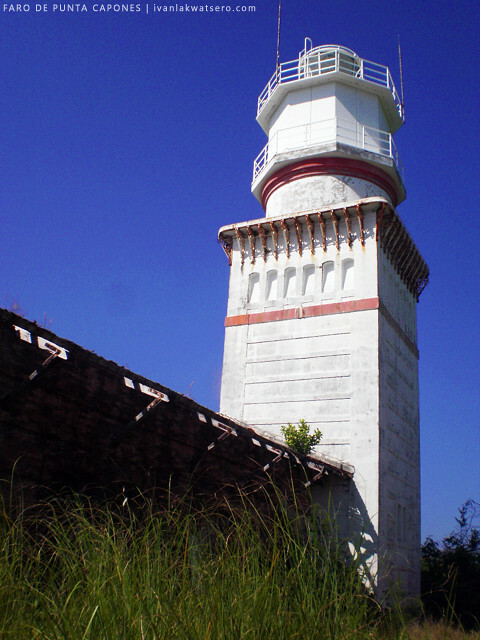 Faro de Punta Capones, or simply Capones Lighthouse, is what the Isla de Gran Capon (Capones Island) has been harboring for more than a century already. 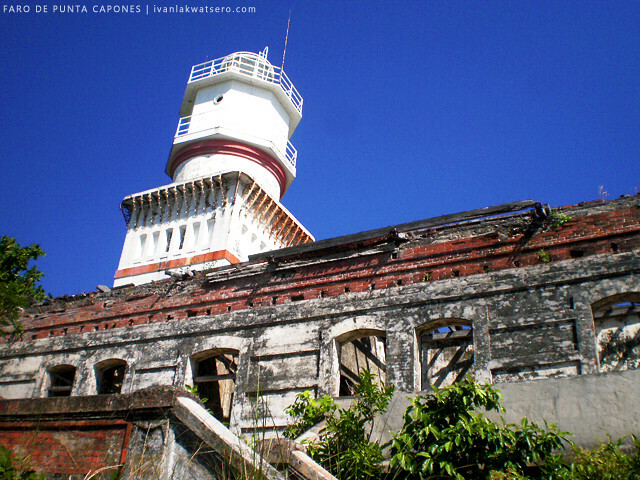 Up until now, this lighthouse serves the ships that are entering and leaving the busy ports of Manila and and Subic, as well as the ships that sails to China. 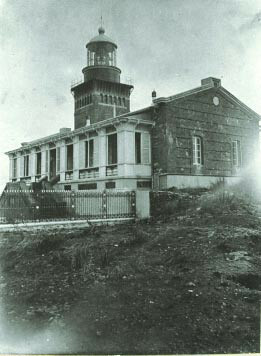 old photo of Faro de Punta Capones, date unknown. 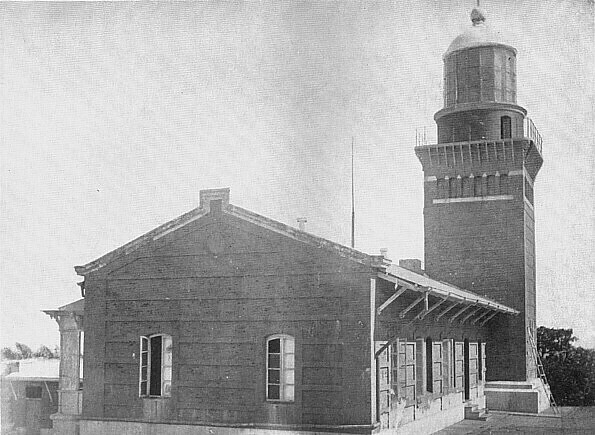 The square light tower, as well as the keeper's house, were constructed mainly from red bricks. Tindalo wood was used for the floor, galvanized iron for the roofs, molave and nara for the interiors and volcanic stones for the chairs. The materials for the light - lantern, optical parts and friction belt - were all imported from France. The island's location though had caused delays to the lighthouse's construction. Strong current around the island had prevented the building of a proper docking area for materials that were being shipped from Manila. The high prevalence of monsoons in this part of the country had also caused interruptions to the lighthouse's building progress. It took seven long years before it finally served its function on 1890. Through the years, harsh weather conditions have caused the deterioration of the whole farola. 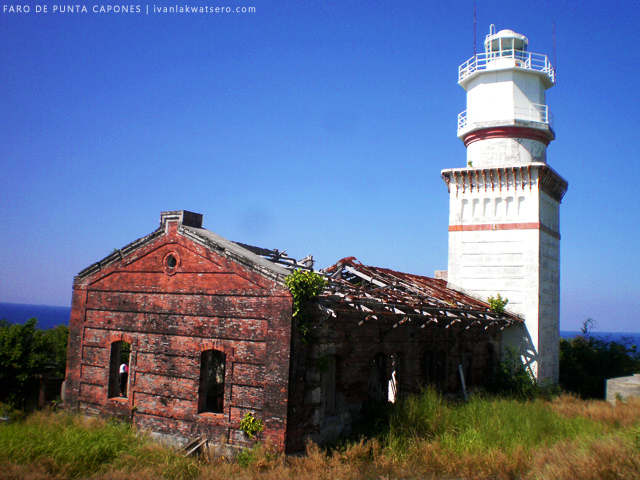 Only the light tower has remained in good shape, as it is being maintained by the Philippine Coast Guard. But the rest of the building - the keeper's house and the whole courtyard - was left to rot. Batang Lakwatsero managed to visit this lonely sentinel on the 22nd of January 2012 with a bunch of travel-loving friends. The whole place is in a sorry state. Read his experience with the Faro de Punta Capones in this post. the front of the lighthouse. oo nga no. i did not notice that. haha. wow ha imported pa talaga sa France ang mga materyales nung light. Sayang talaga noh napabayaan yung keeper's house. Tama si ian bat kaya hindi na lang nila irenovate tapos gawing mini-hotel. Sayang yung view! !